Managing an airport can be a complex challenge. 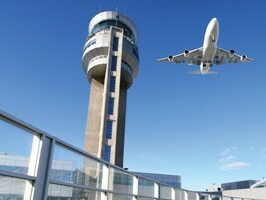 Your airport insurance program must be designed to protect you from losses arising from your operations. It must respond to claims brought by those who visit or use your facilities. Our policies are tailored to protect small to mid-size airports and some of the most complex airports in the world. a href=”/contact/” title=”Contact”>To learn more about airport and ground handler insurance, please contact your local Global Aerospace representative.